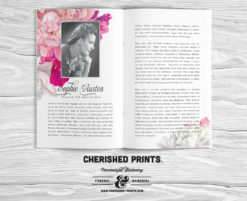 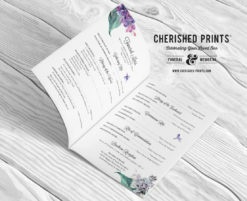 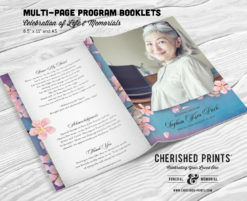 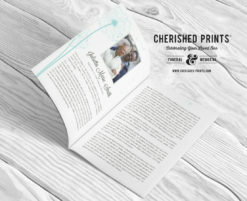 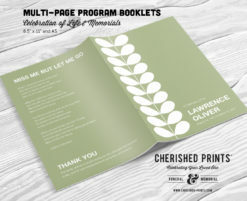 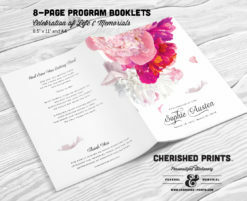 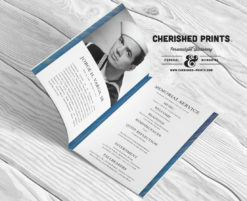 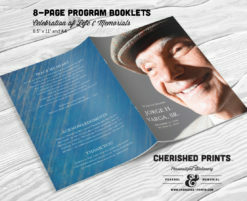 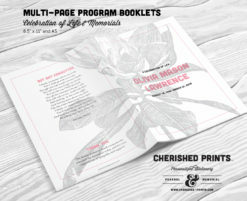 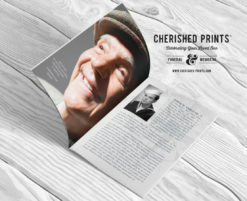 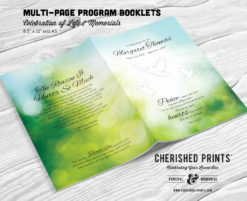 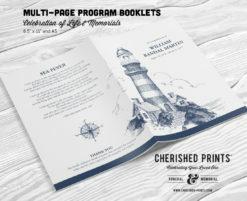 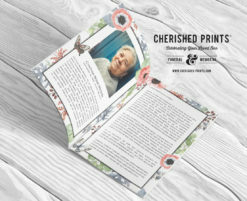 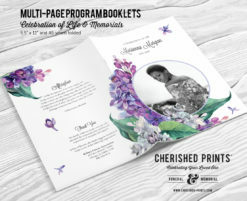 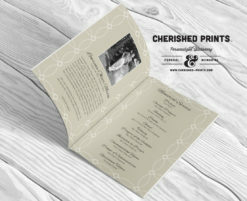 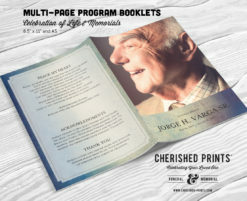 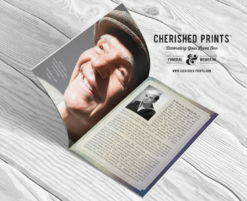 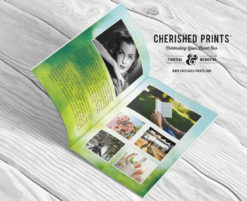 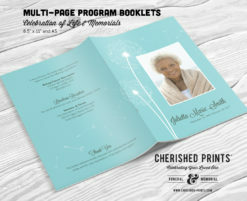 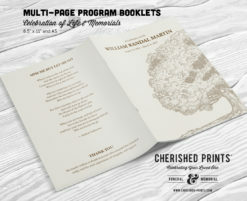 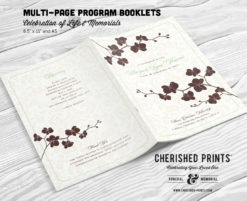 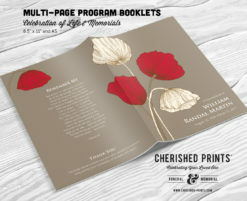 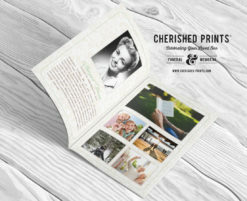 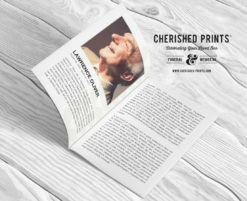 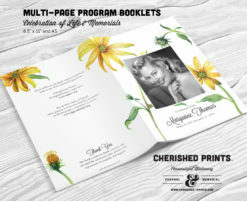 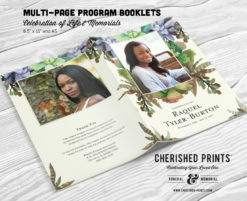 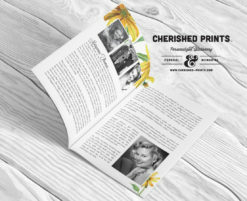 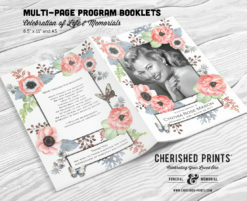 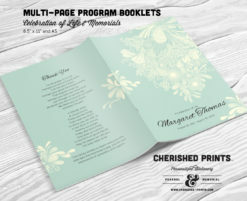 Cherished Prints’ collection of Multi-Page Booklet Program for Funerals, Memorial Services and Celebration of Life were created to celebrate the life of your loved one with a unique and uplifting design. 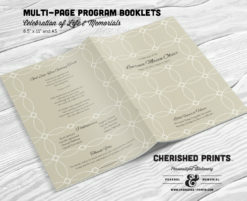 The program serves as a talking point at the service, sparking conversations and cheerful reflection amongst the guests. 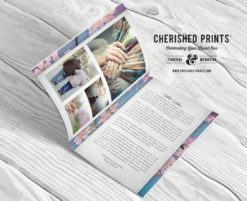 Select a design, share your content with me during the checkout process or Program Guide Form. Then I’ll take care of the rest, sending you a customized draft PDF to review and comment within 24 hours. 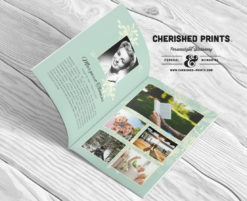 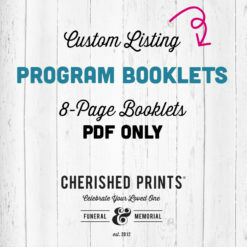 Cherished Prints offers printer services or a Print Ready PDF to print locally or at home. 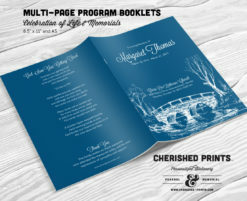 If you don’t see the Multi-Page Booklet Program in your favorite design, don’t worry we will be happy to make it and add a listing to purchase.